Father William Galvin died at Mission St. Teresa’s on April 21, 2016. He was 86 years old and would have celebrated his 60th year of ordination in June 2016. William Joseph Galvin was born in Kew Gardens, New York on June 25, 1929, the youngest child of Eugenia Bannin and John F. Galvin, Jr. His sister, Ella, and his three brothers, Jack, Tom, and Paul, are all deceased. He graduated from Our Lady Queen of Martyrs Grade School, Forest Hills, and Bishop Loughlin High School, Brooklyn, both in New York City. A life-long association with and appreciation of the De LaSalle Brothers dates from his Loughlin days. He entered Maryknoll September 11, 1947 at the newly opened Maryknoll Apostolic College, Lakewood, New Jersey. His final year of Philosophy was taken at Maryknoll, New York, where he received his B.A. in Philosophy in 1951. After Novitiate at Bedford, Massachusetts, he obtained his Master of Sacred Theology degree in 1955, and his Master of Religious Education in 1956, both at Maryknoll Seminary, Ossining, New York. He took his Final Oath to Maryknoll in June 1955, and was ordained a priest in the new Maryknoll Chapel by Francis Cardinal Spellman on June 9, 1956. Father Galvin’s first mission assignment was to Hawaii. He was Assistant Pastor for three years at St. Joseph Parish, Hilo. In 1959, the year Hawaii became a State, he was transferred to the new Maryknoll mission on the Island of Mindanao in the Philippines. After language school in Davao City, he was assigned, along with Fr. Jim Collins, as the first Maryknollers on the East Coast of Davao, to the parish of St. Francis Xavier, Manay. In 1961, he was named the first Maryknoll pastor of Senor Santiago Parish in Cateel on the East Coast. There he built and was director of the Maryknoll High School of Cateel. In 1965, he was called back to the U.S. to be Spiritual Director of Maryknoll College Seminary, Glen Ellyn, Illinois. He began graduate studies in Counseling and Theology at the University of Chicago. He was elected delegate by the Philippine Region to the 1966 General Chapter. In July 1967 he was elected Regional Superior of the Philippine Mission for a term of 5 years. During his term, following Vatican II, he was very active in promoting updating of priests and brothers. He established a 4-week Renewal Program for Maryknollers in the Asia Area, at the East Asian Pastoral Institute in Manila. He actively encouraged cooperation and collaboration among religious and missionary congregations, and was elected Chairman of the Association of Major Religious Superiors of Men of the Philippines from 1969 to 1972. With Bishop Francisco Claver, S.J., he initiated the First Mindanao Sulu Pastoral Conference. He was given the Fr. Peypoch Award by Ateneo de Manila University in 1972. Fr. Horacio de la Costa, Jesuit provincial wrote: “Father Galvin is the kind of missionary that is needed at this time in a country like ours. Under Father Galvin’s leadership, Maryknollers have come not only to teach, but to learn. To learn what their people really need to become fully Christian, and then to help them meet those needs themselves, in their own way.” Having completed his term as Regional Superior, he was again elected delegate of the Philippine Region to the 1972 General Chapter. After the Chapter, he became Assistant Pastor at San Nicholas Parish, Mati on the East Coast of Mindanao. 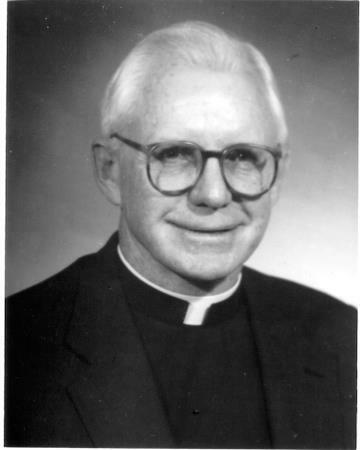 In 1974 Father Galvin was called back to the States to become Director of the Maryknoll Mission Research and Planning Department. In this capacity he oversaw the development of Society Five Year Plans, and the opening of new Mission Units in Bangladesh, Sudan, Brazil, Samoa and Nepal. In 1977 he volunteered to be a member of the first team to go to Nepal, and he spent the next 9 years in Katmandu. There he set up an adult education program under the auspices of S.P.A.C.E., a program that continues to this day, completely run by Nepalese, whom he trained. In 1981, he spent 6 months with Fr. Tony de Mello, S.J. at the Sadhana Institute in Lonavilla, India. Since then he has given more than 25 retreats to priests and religious, principally in Asia. In 1986 he was again called back to the States to be Director of Orientation (Novitiate) for Maryknoll Seminarians in New Rochelle, New York. While Director, he began studies that led to an M.S. in Pastoral Counseling from Iona College in 1990 and an M.A. in Christian Spirituality from Creighton University in 1991. In 1990 he was appointed Coordinator of the Maryknoll Spiritual Renewal Program in the Holy Land, where he directed two 10-week programs each year from 1990 to 1998. In 1996 he was appointed Coordinator of Continuing Formation/Education, and Director of the Maryknoll Formation and Education Department. In January 1999 his lifelong dream of being a missioner in China was fulfilled with his assignment to the China/Hong Kong Region. He taught English at Foshan University in Guangdong Province, a part of Maryknoll’s first mission, Kongmoon (Jiangmen). In 2003 he moved to north China to Shenyang, Liaoning Province, where he taught at the Regional Seminary and Northeastern University. In 2010 he left teaching because the government said he was too old (over 65). Father Galvin took up residence at the Stanley House in Hong Kong and, at the age of 80, wrote a 460 page History of Maryknoll Fathers and Brothers in Hong Kong 1920-2010. He helped out at St. Anne’s Parish, Stanley, and was chaplain for the weekly Alpha Program on Christianity and also had a Bible Discussion Group for 10 men every Monday evening at the Stanley House. Father Galvin continued to give retreats in Thailand, Korea and the United States until medical issues necessitated his return to the United States in June 2015. At that time, he took up residence at Mission St. Teresa’s, Maryknoll, New York. A Rosary and wake service was held at 4:00 p.m. on April 25, 2016 at Mission St. Teresa’s for residents and family. The body was received at the Maryknoll Society Center, Queen of Apostles Chapel, at 7:00 p.m. on April 25, 2016. Father Galvin’s family received condolences and prayers until 10:00 p.m. in the Lady Chapel. On April 26, 2016, the family continued to receive condolences and prayers until the Mass of Christian Burial took place at 11:00 a.m. in Queen of Apostles Chapel. The biography was read by Father Ralph Kroes. Father Emile Dumas was Principal Celebrant and homilist. Burial followed in Maryknoll Society Cemetery with Father Joseph Everson, III conducting the graveside service.